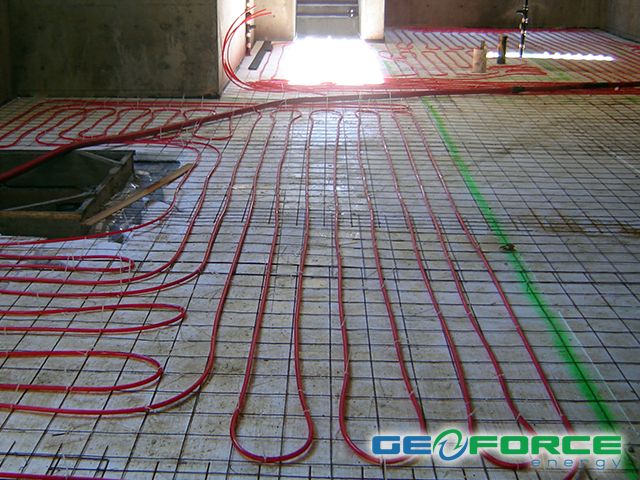 GeoForce Energy has been installing radiant in-floor heating and cooling systems in Vancouver for years. Warm your home with a highly-efficient, draft, dust and allergy-free radiant heating system. If you’re building a new home or renovating an existing one and you’re in Vancouver, West Vancouver, Squamish, Whistler, Burnaby, Surrey, South Surrey, White Rock, Delta, Cloverdale, Langley, Aldergrove, Abbotsford or Metro Vancouver, talk to us about the possibility of installing a radiant heating system. What is residential radiant in-floor heating? Residential radiant in-floor heating is a method of heating your home by applying heat underneath or within the floor. Comparable to warming yourself in the sun, this type of heating warms objects as opposed to raising the temperature of the air. Radiant in-floor heating has been around for centuries, but today’s modern applications have a much more evolved design and installation process. With radiant in-floor heating, you can have an energy efficient floor that will eliminate chilly feet, create a healthier living environment and significantly lower your utility bills. Radiant in-floor heating systems use a separate heat source, like a boiler, to provide heated water to circulate through plastic pipes under your floor. Radiant in-floor heating systems are a very efficient and comfortable method of heating a home or office. 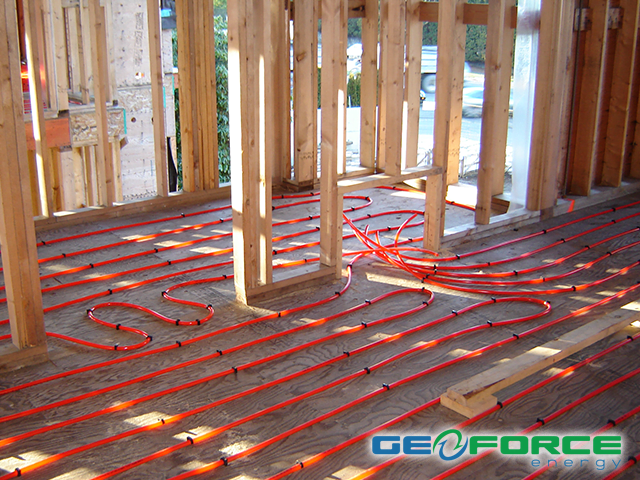 Contact GeoForce Energy today to discuss your options of having cozy, radiant in-floor heating for your next home. 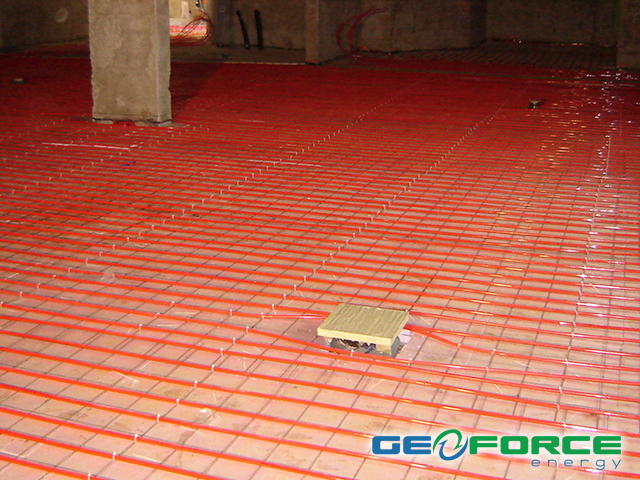 GeoForce Energy is proud to use Watts Radiant Floor Heating products on our projects. Enjoy the comforts of a Watts Radiant floor heating system and we know you’ll thank yourself again and again. GeoForce Energy is also proud to use Eco-King Heating Products on our projects, a supplier of European Indirect Hot Water Tanks, Pex Pipe, High Efficient Boilers, Polypropylene (PP) Concentric and Twin-Pipe Ventilation Systems.